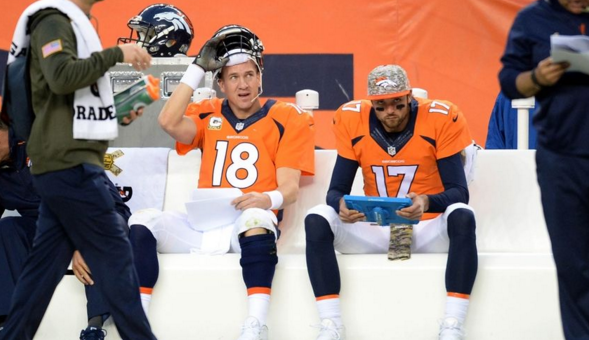 Is the Peyton Manning era over in Denver and the NFL? The Broncos and head coach Gary Kubiak have announced that Manning will miss Sundays game against the Bears, and Brock Osweiler will start at quarterback. Head coach Gary Kubiak told reporters Manning will not play, adding “that decision has been made.” Kubiak added he will talk to Manning again next Monday. #Broncos coach Gary Kubiak says Trevor Siemian will be the backup to Brock Osweiler. He’ll talk to Manning again next Monday.